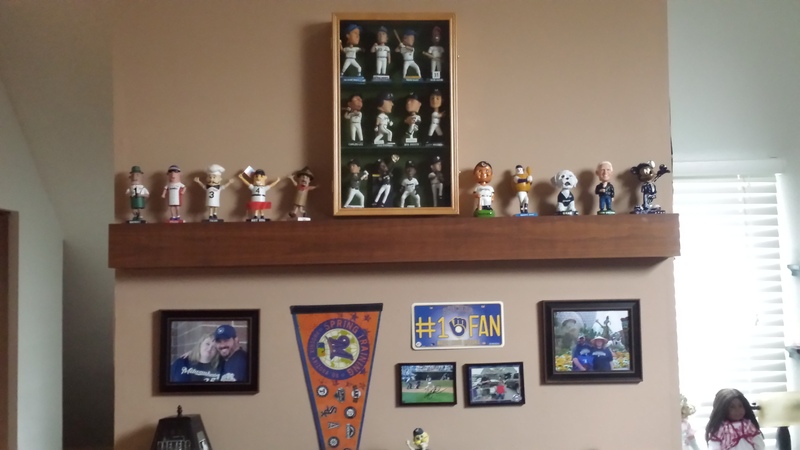 In this post I’d like to share with you some background on how I came to write my Milwaukee Brewers historical book and narrow the scope of what it’s about. I’ll also give some details about my writing process and how doing what I do helped me finish the first draft in a little over a year. I had a meniscus surgery on my right knee in February, 2015. It’s a pretty minor surgery with easy rehab, but I was still off work for a couple weeks and doped up with pain meds for the first couple days. While I was on the couch with my leg up, I watched a lot of baseball movies and read a couple of baseball books. One DVD I took in was The Seattle Pilots: Short Flight into History. If you haven’t seen it, the documentary is a great assemblage of archival footage and recent interviews that tell the story of baseball’s “one year franchise.” I’m not just saying that because I was loaded up on painkillers either. The Pilots story ended in bankruptcy court when Bud Selig bought the team and moved it to Milwaukee where the franchise became the Brewers. After the film I found myself being bothered by the lack of detailed stories about how the Brewers came to be – mostly because there’s a lot more behind the notion that Selig just flew in and bought a franchise. Over the years I have read bits and pieces about the Milwaukee Braves locating after the 1965 season in Atlanta, leaving the city without a team until the Brewers arrived in 1970. What about those non-baseball years? The question always bugged me so I did some digging while I rehabbed from the surgery. Another thing that always bothered me was the one-liner that I’ve read in several articles about Selig being the Brewers owner – something along the lines of “Selig bought the Brewers out of bankruptcy court in 1970 and moved them to Milwaukee from Seattle just a week before season.” Occasionally these articles would add a few notes about the events surrounding the purchase and move, yet never enough to tell the full story. The more I sat around with my leg in the air, the more investigating I did about Selig’s early years, the Braves blowing town, and the non-baseball time period. I also started looking at the first Brewers team that took the field in 1970, as a lot of interesting things happened to those players. Many of the decisions and actions in 1970 set the stage for other events later down the road. This was truly a new franchise finding its way through wacky promotions such as a player cow-milking contest and new mascot Bernie Brewer (Milt Mason) on top of the scoreboard in a trailer. I quickly realized that I could write a story that answered the questions I mentioned earlier. But I felt I couldn’t just tell the tale of how the Brewers were bought in court and how 1970 played out. It seemed like that was only half the story. So much baseball history existed in both Milwaukee and Seattle before those cities even had major league teams. I found myself drawing a lot of parallels between the two cities. Both also had numerous court battles over the loss of their major league franchises – and that was a story within itself. Four years of disappointment was Selig’s path as he made numerous attempts to acquire a franchise or talk the league into allowing expansion into Milwaukee. Those years alone are very interesting, but I decided to also talk about the rise and fall of the Braves and Selig’s childhood experiences with baseball in order to give his battles with the league proper context. He went to great lengths to convince the league that Milwaukee was a viable city for baseball – even going so far as to have the Chicago White Sox play “home games” in County Stadium that drew more fans than the team’s real home games. As a result he nearly bought the White Sox and moved them to Milwaukee. When I put all of those elements together I realized there was enough fodder for a book. To quote novelist Toni Morrison: “If there is a book you want to read, but it hasn’t been written yet, then you must be the one to write it.” I agree. This is something I wanted to read so I worked hard to write it. I’d like to think at least one other person wants to read it too, and that will justify me writing it! As for my writing process, the first thing I thought to do was attempt to contact players and coaches from the first Brewers team to see if I could conduct interviews. I was lucky enough to communicate with about a dozen people and incorporated many of their quotes into the book. At some point I thought it would also be a good idea to contact some behind the scenes folks that had knowledge of the team, and that led me to a ballboy and batboy still living in Wisconsin, plus the visiting clubhouse manager. Each had great recall on the events leading up to the Brewers coming to Milwaukee and the first few seasons of Brewers baseball. Those interviews were instrumental in me putting together a timeline of events. Unfortunately I did not hear back from anyone in Bud Selig’s camp after multiple requests for an interview. While his stories would have been a welcome addition to my book, they are not necessary as plenty of archival information exists that works just as well. I understand he is writing his memoirs and will most certainly cover this time period in his baseball career. After I conducted interviews I took the events timeline and all of the other pieces I wanted to cover and drew up a set of sample chapters in a notebook. This evolved quite a bit as I worked on the project. An example is that I didn’t have the idea to wrap up the book with a summary chapter of what happened to the franchise and original players after 1970. The story just kind of ended at the conclusion of 1970, but that didn’t feel right to me and needed an epilogue. The plans for chapters led me to creating a folder structure and Word documents for each chapter. I immediately backed everything up on an external USB stick. I didn’t want to become one of those computer crash horror stories where everything was lost! As I compiled interviews last spring and early summer, I also worked to locate archival newspaper articles online. Once I discovered how to make effective Google searches I could find pretty much anything I needed in a matter of seconds. I saved links to stories and put these into each chapter document in order of how the section was to be written. I gave myself a goal to have all the research completed by fall so I could start actually writing, although I knew I would probably have more research to conduct while I wrote. In the fall I started writing, and at first started from the beginning with the idea that I’d get everything down from beginning to end. Nice and clean, right? I quickly discovered that with such a research project, one item might relate to another later in the story. Or I’d get stuck in an area and rather than sit in writer’s block, would move into another chapter where I knew I could make progress. Many writers say you should write every day to be effective and continually make progress. Some get up well before dawn just to crank out an hour of writing. 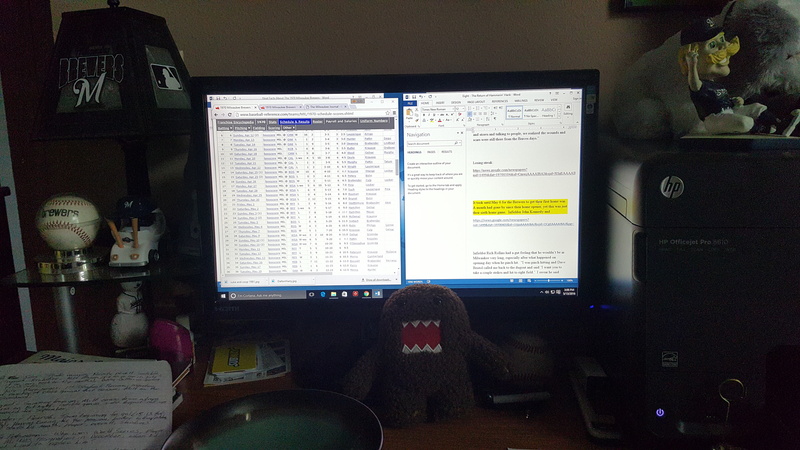 I found this method worked during the research phase, as I could look up information I needed or use a small window of time to type up my interviews. It didn’t work when I tried to write. Maybe if I was writing fiction an hour would be fine. I had an easier time making progress with at least four hours of writing time. So I continued writing through the winter, spring, and into mid-summer. Along the way I started using social media to share writing samples and inspirational thoughts. I created a Facebook author page, Instagram account, and Twitter account – although I must confess I don’t Tweet much. I also developed a blog as a place to share writing samples and current thoughts – where you are now. Many of the interviews conducted for the book leant themselves to being adapted into profile stories. Since last year I have shared profiles of Ken Sanders, Dave Baldwin, Bruce Brubaker, and Ted Kubiak from the 1970 team, just to name a few. I was happy to type THE END in front of my wife late on the night of July 8 – but of course this only wraps up the writing process – and now editing begins. For the editing process I will involve a handful of “beta testers” to read the book and offer feedback. I am putting together a mix of a couple baseball fans and a couple that aren’t into baseball, mostly because I think you don’t need to be a baseball fan to read and get something out of this story. I also have a couple possible titles I’m kicking around that I need to figure out, possibly with test reader help. My goal is to weed through the edits by the end of the year and get this to submitted to publishers – but that’s another blog post story for later! I’d like to take this opportunity to again thank those of you following me. The support of family and friends (both in real life and cyberspace) helped drive me during some difficult times, and for that I am eternally grateful. I promise to keep you updated with my progress in the coming months. Check out my Facebook author page for articles like this and much more! 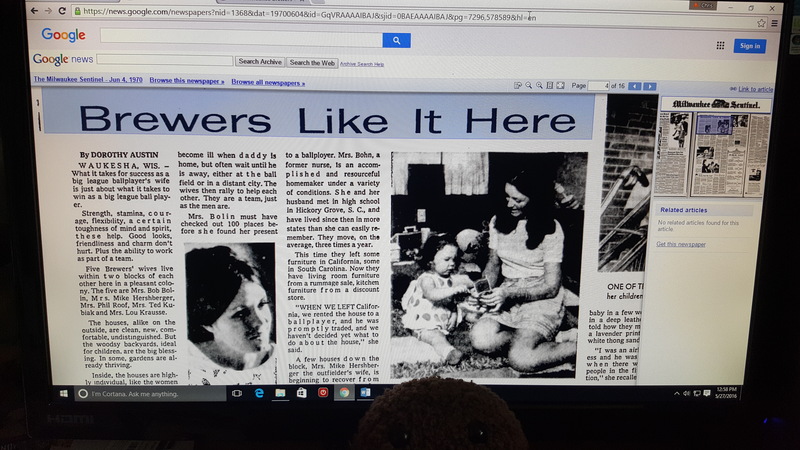 I lost count of how many archival newspaper articles I read for this project!